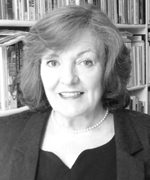 Christine Green Authors' Agent has been representing writers in Britain and around the world for three decades. As a small agency, we are careful only to take on clients we like and whose work we admire. We like to form close working relationships with our authors. As what is sometimes called a "boutique" agency our stock-in-trade is our hands-on editorial approach, for which we are particularly known in the industry. Not all authors need extensive editorial input but those who do will not find it available everywhere: the time and expense of editorial support is a shrinking resource in today's publishing world. Our aim is to help authors get their manuscripts into the very best possible shape before putting them in front of publishers, and that means that both we and the writers we represent are taken seriously. Our list is select; our commitment is high. We are always on the lookout for people with stories to tell and exciting ways of telling them. We are members of the Association of Authors' Agents and abide by its code of conduct. Christine Green started her career in publishing with Faber & Faber, later joining the John Johnson Agency. She started Christine Green Authors' Agent in 1984 with a very small list of clients. This suited her well as it meant she was able to work personally with each author and pay close attention to each new draft. Luckily, but perhaps unsurprisingly, this small list was home to writers who soon became prize-winning, best-selling authors, and this has allowed us to remain a small, editorially focused agency. We enjoy close working relationships with all of our clients and always have time to talk.